Want to Ride Longer and Feel Stronger? Well now you can RIDE FOR INFINITY! 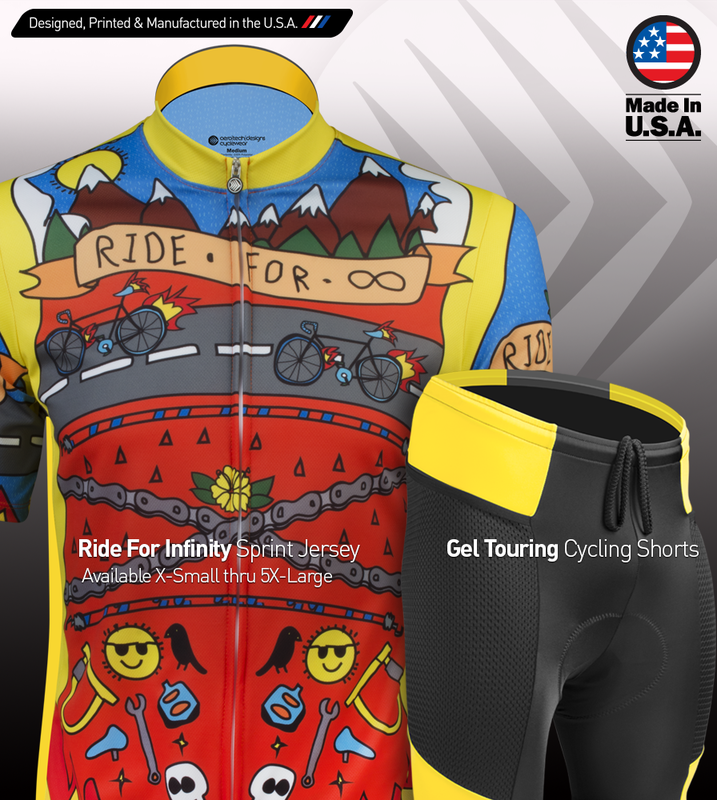 Aero Tech Design introduces the Rider for Infinity Sprint Jersey! 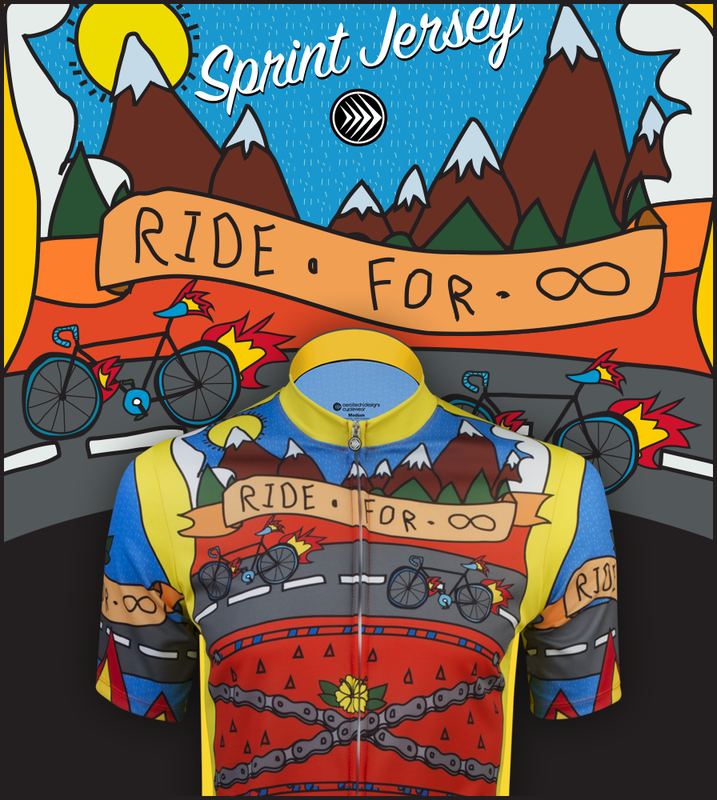 It's great design with high colors and unique graphics will have your turning heads. It also comes in Large Sizes and Youth Sizes so this is a jersey for All Ages! I was very pleased with this jersey. The material is comfortable, the quality is superior, and the price is very fair. Would definitely purchase again. Generous cut; The hem does not ride up; Roomy; The design is colorful as you can see. Fits to size; If you like your jerseys tight get one size smaller ; I don't like clingy jerseys so this fit perfectly. And it is made in the USA: what more can I ask for ?